“My wife is stronger than me. Despite what she's been through, she’s able to digest all this but whenever I see our daughter, I get unstable and can’t really handle it. She (Gudiya) shouldn’t die because of the lack of funds. I wish it doesn’t become too late and she’s able to survive.” – Vishal, Gudiya’s father. 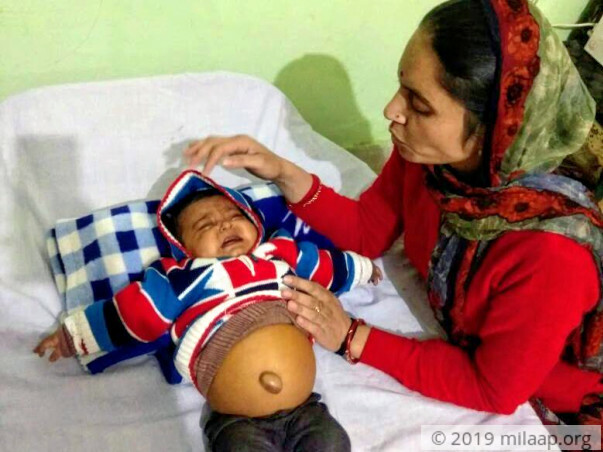 Just a few months after losing her own mother, Renu and her husband are running out of time to save their 6-month-old daughter, Gudiya. Every day Gudiya’s eyes and skin turn yellower and her liver has almost completely failed. Only a liver transplant can save her life. Running around from one place to the other, her parents have nothing left to save her but are trying their best to keep their daughter alive. Born one and a half months premature, Gudiya’s urine was much yellower than usual. After running around various places to get her tested, Vishal and his wife, Renu’s, hearts sank when they learned that their daughter’s liver has failed and her only hope of survival is to get a liver transplant as soon as possible. Her abdomen is dangerously swollen due to her liver getting abnormally bigger and bigger. She needs a transplant as soon as possible if she were to survive. 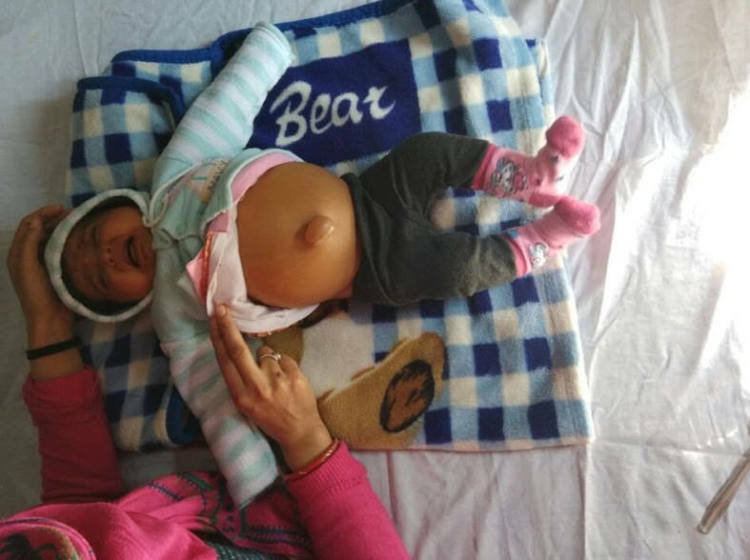 Gudiya is suffering from a rare but severe liver disease due to a birth defect in the liver. This happens in 1 out of 15,000 births. Due to the disease, Gudiya’s bilirubin levels are around 22, whereas it’s close to 1 in a normal baby. This is dangerously high and life-threatening. Gudiya's eyes and skin have turned yellow due to sustained jaundice. Her urine is very dark too. 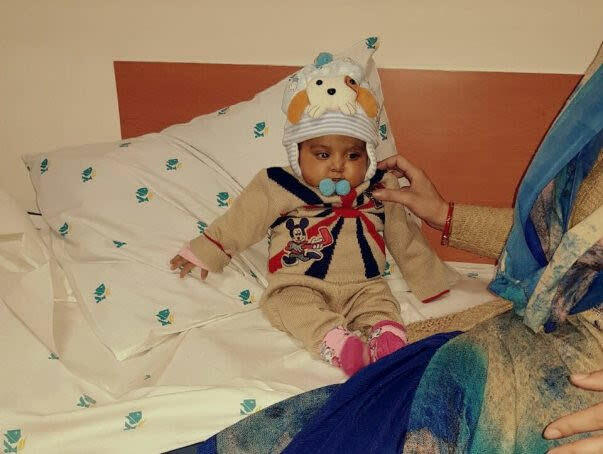 Her liver failing at the age of just 6 months, Gudiya is very critical and cannot survive without a liver transplant. Her mother will donate a part of her liver but is running out of time to provide for the surgery. Just months before Gudiya’s birth, Renu lost her mom. This loss was, naturally, too much to bear and completely shook Renu. Now, within 6 months of her daughter’s birth, Renu received yet another massive blow because she’s facing the probability of losing another member of her family. This is hard for any human to bear. 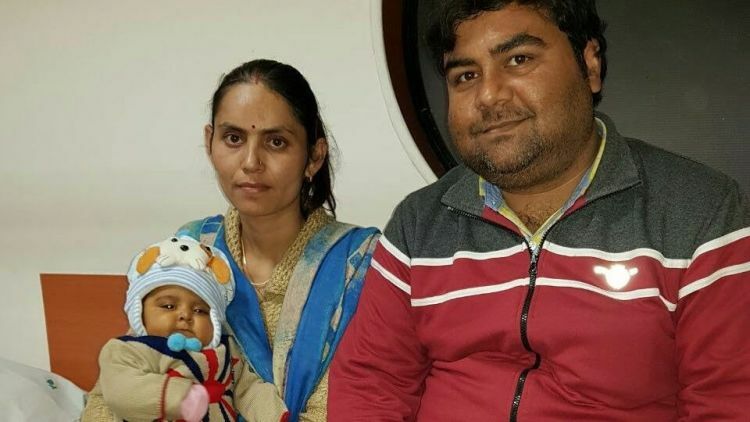 Since the past 2 months, ever since it was made clear that only a transplant would save Gudiya’s life, Vishal and Renu have gone from hospital to hospital in various cities. 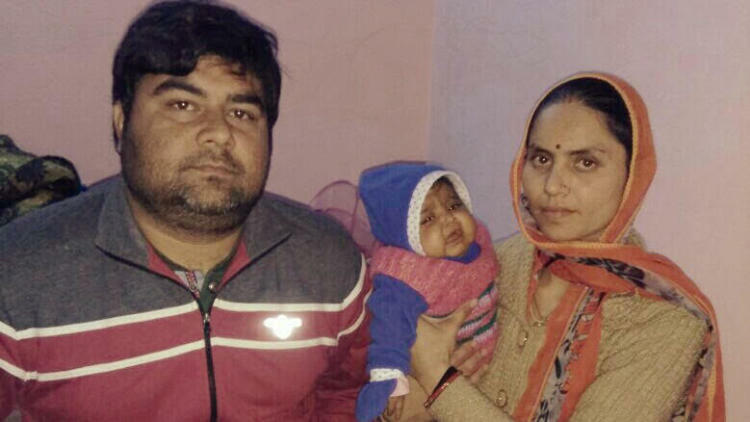 Hailing from a small village in Jammu & Kashmir, Vishal and Renu have travelled to Chandigarh, Delhi and other cities along with their critical 6-month-old baby. While Renu is a housewife and takes care of Gudiya and her elder brother, Tejas; Vishal works as a school teacher earning just around Rs. 7,000 per month. 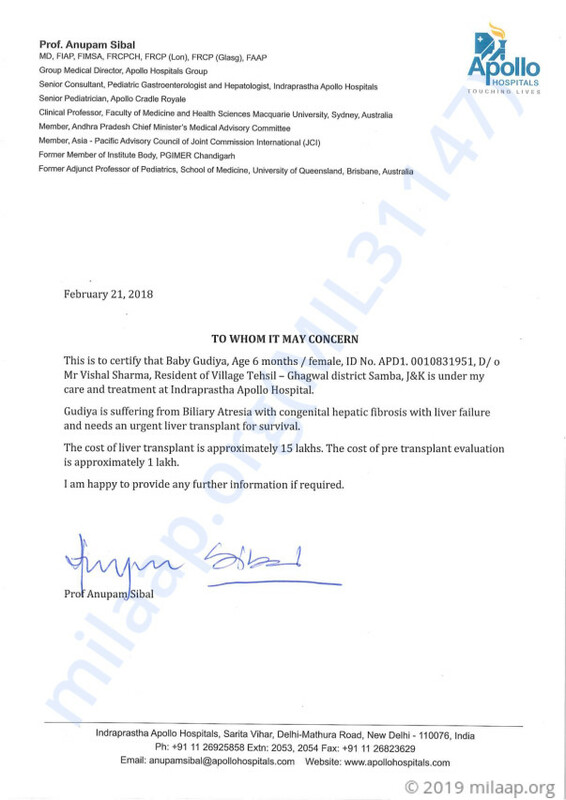 Now, Gudiya’s surgery is scheduled to be around March 15, 2018, and the total cost of the surgery is estimated to be around Rs. 16 lakh. Vishal has already spent around Rs. 4.5 lakhs on Gudiya’s medicines, treatments, and checkups and has exhausted all he had. 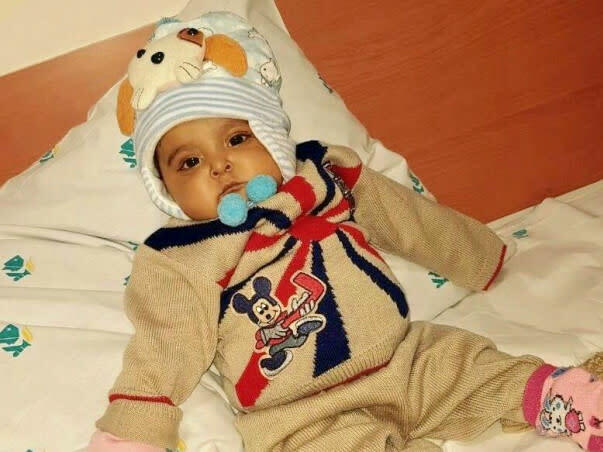 He has absolutely no money to support the transplant his 6-month-old baby needs within a month’s time. Now he’s racing against time and is left with no option but crowdfunding. 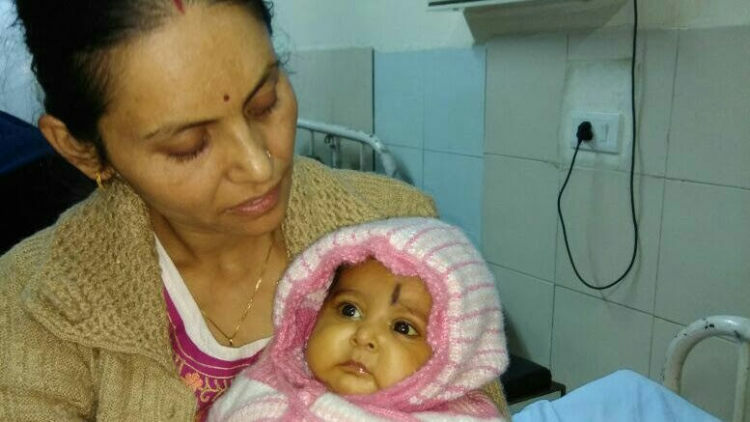 6-month-old Gudiya’s liver has completely failed and she urgently needs a liver transplant to survive. She gets yellower and weaker by the day and her father is running out of time to arrange the funds needed to save his baby. Now, Vishal and Renu need your support to make this possible. 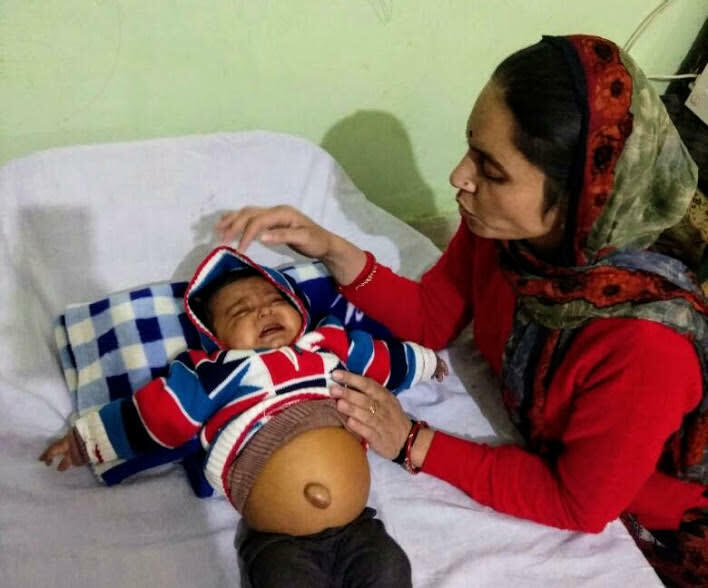 Your support will save 6-month-old baby Gudiya. Thank you for the wonderful love and support that you have shown towards my daughter. There has been no improvement in her health so far and the doctors suggest us that the next course of action is undergoing the liver transplant. We have undergone a few tests to ascertain who is a match amongst us and the doctors will be able to suggest the future course of action like donor workup, date of transplant only after the reports come in. I would like to thank you all once again and would request you to please share this campaign further with your friends and family to help us in raising funds faster towards her treatment. Will keep you posted.